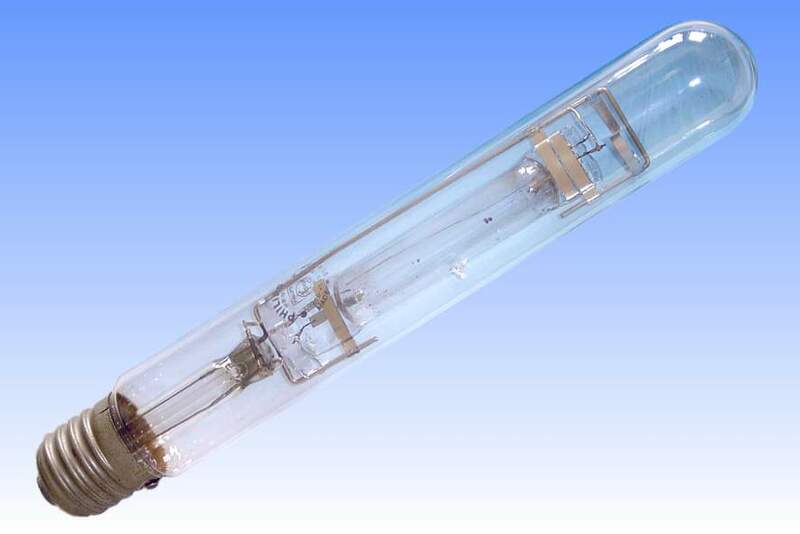 A further advantage of the quartz lamp was its universal burning position. MA lamps were only suitable for vertical burning, although they could be burned horizontally if a special electromagnet was used above the lamp to prevent the arc bowing upwards and causing the arc tube glass to soften. 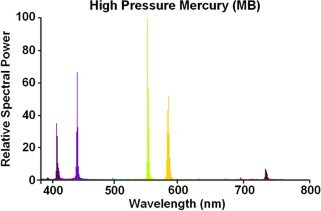 Quartz can more than withstand the heat of the arc bowing upwards in the horizontal position, and as such most of the MB lamps were rated for universal burning. 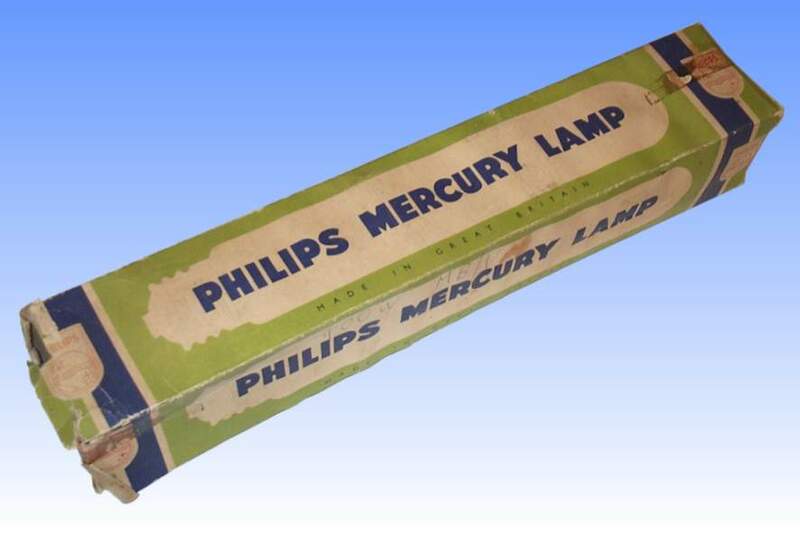 Both MB and MA lamps were offered in parallel for many years, the later MA versions being less efficient types which were also suitable for universal burning. They were sometimes preferred because MA was a cheaper lamp. For extra ignition reliability, this lamp uses two starting electrodes. References: 1) Philips UK Brochure "MB/U Lamps" PL8190/2.13, July 1969. 2) Philips UK Catalogue, 1960.